VICTORIA, BC – In a speech to British Columbia’s Legislative Assembly (BC’s provincial parliament), the MLA for North Vancouver-Seymour, Jane Thornthwaite, openly celebrated the success of trade diversification achieved by SPF Precut Lumber. MLA Thornthwaite praised SPF Precut Lumber’s market leadership in the Middle East and its innovative approach to penetrating BC softwood lumber into new markets, in addition to celebrating SPF Precut Lumber’s 25th anniversary in business. MLA Jane Thornthwaite was elected to represent the riding of North Vancouver-Seymour as a member of the BC Liberal Party in May 2009. In 2014, she was appointed as the Parliamentary Secretary for Child Mental Health and Anti-Bullying for the Minster of Children and Family Development. She is also a member of the Cabinet Committee on Secure Tomorrow and Chair of the Select Standing Committee on Children and Youth. Before being elected as a Member of the Legislative Assembly for British Columbia, Jane served as a School Trustee for the North Vancouver Board of Education, including being elected Chair of the North Vancouver Board of Education. 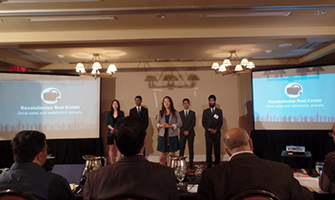 ATLANTA, GA, USA – As a lead mentor for the TiE Young Entrepreneur (TYE) Program (Vancouver chapter), SPF Precut Lumber’s Mo Amir coached InVision VR to win the TYE Vancouver’s Venture Challenge, earning the team the right to represent TYE Vancouver in the global finals of the TiE Young Entrepreneurs 2015 Global Business Plan Competition. 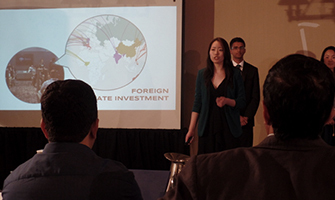 This year, the TYE 2015 Global Business Plan Competition was hosted in Atlanta, Georgia. 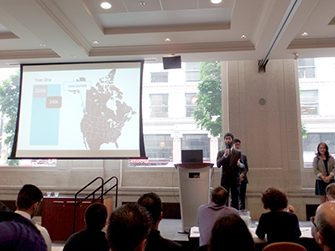 Competing against 18 other teams from across the globe, including cities in the USA and India, InVision VR represented Vancouver as the sole-Canadian team in the competition. 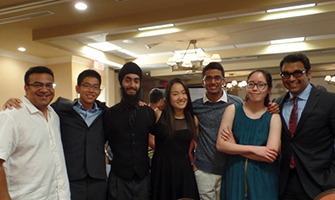 InVision VR is comprised of highschool students Eileen Li, Serene Chan, Han Bai, Kamal Deowra, and Matthew Da Silva. Winning TYE Vancouver’s regional finals with a business proposal for their real estate marketing product, an intuitive virtual-reality platform that allows potential homebuyers to view a property before it is even built, InVision VR made a strong pitch for a product that would revolutionize global real estate marketing. As a global competition that engages 700 students across the globe, InVision VR competed with some of the brightest and most entrepreneurial school-aged young adults in the world – garnering praise throughout the competition. The TiE Young Entrpreneur (TYE) Program is a one-of-a-kind entrepreneur program focused on empowering teenage youth with leadership skills and business basics. The powerful curriculum delivers the essentials of business management in a simple manner by lecturers who are business leaders themselves. The insight into the world of entrepreneurship that high-school students receive over the course of the program gives them a sense of preparedness that will be invaluable for their future success in the business world. TYE is one of the programs under TiE, a not-for-profit global organization with a mission to foster and support entrepreneurship. TiE was born spontaneously when a handful of Silicon Valley entrepreneurs with roots in the Indian subcontinent met by chance in 1992, conceiving the idea of an organization that would bring together business leaders for the purpose of networking. 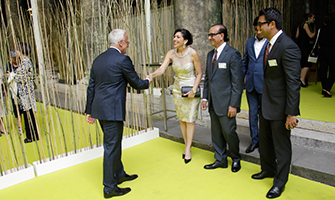 TiE is represented through chapters all over the world, including in the United States, India, Pakistan, the United Kingdom, Hong Kong, Israel, Malaysia, and Austria. In total, TiE has 61 chapters in 18 countries with over 11,000 professional members. TiE Vancouver is TiE’s first Canadian chapter. 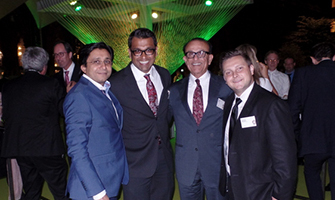 VIENNA, AUSTRIA – SPF Precut Lumber President, Muhammad Amir, and General Manager, Mo Amir, were honoured to have been invited to the Schweighofer Prize 2015 event, hosted by The Schweighofer Group – a family-owned Austrian-based international holding company primarily focused on the forest industry. In its seventh bi-annual year, the Schweighofer Prize awards visionary people with innovative ideas, technologies, products, and services that serve to strengthen the competitiveness and sustainability of forest management and wood utilization in Europe. The Schweighofer Prize is endowed with total prize money of € 300,000 before taxes, divided into one Main Prize and several Innovation Prizes. 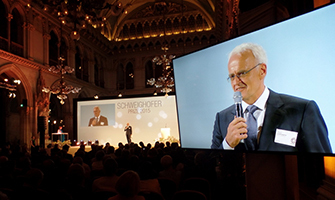 A multi-day celebration, including tours and functions for attendees, the major gala itself was held at the Vienna City Hall (Rauthaus) on June 16, 2015.
Notable attendees included Canfor CEO, Don Kayne; Interfor CEO Duncan Davies; Austrian Federal Minister for Agriculture and Environment, Andra Rupprechter; Austrian Federal Minister for Labour and Social Affairs, Rudolf Hundstorfer; and Vienna Mayor, Michael Haupl. This year for the first time, the Schweighofer Prize established a cooperation with one of the largest integrated forest products companies in the world; the North American company Canfor which produces timber, cellulose and paper. Canfor sponsored ten students from Canada and the USA to take part in an “Innovation Workshop” on the day before the Schweighofer Prize. According to the motto “From Knowledge to Innovation”, 27 young researchers from a total of 16 countries exchanged ideas under the leadership of Schweighofer Prize jury chairman Prof. Dr. Alfred Teischinger (University of Agricultural Science) in the domed hall of the TU Vienna. The Schweighofer Prize is donated by the Schweighofer family, which has been engaged in the European woodworking industry for generations. The family’s Schweighofer Foundation is strongly committed to charity projects around the world. SPF Precut Lumber is proud to call such a successful, innovative, and charitable organization as The Schweighofer Group its partner in business. 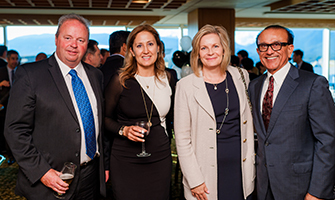 VANCOUVER, BC – In commemoration of its 25th Anniversary, SPF Precut Lumber hosted a Celebration Gala at the Pan Pacific Hotel in Downtown Vancouver on June 4, 2015 in the Cypress Banquet Hall, which boasted a scenic panoramic view of the North Shore Mountains and Stanley Park. In addition to the entire SPF Precut Lumber team, the guest-list was comprised of partners across the forestry and financial sectors, family, and other SPF Precut Lumber stakeholders. 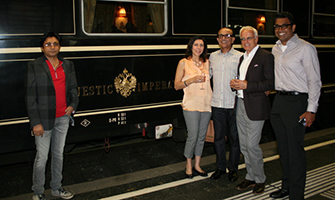 Preceding the five-star dinner, Mo Amir hosted the evening’s program. BC Minister of International Trade, the Honourable Teresa Wat, spoke at the event praising SPF Precut Lumber co-founder Muhammad Amir and the Amir family for their contribution to the province’s economy as immigrant entrepreneurs as market leaders of forestry export around the world, particularly to the Middle East and South Asia. 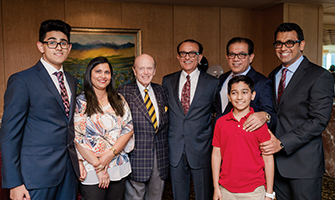 As an immigrant herself (who coincidently arrived in Canada in 1989 – the same year as the Amir family), Minister Wat reflected on the vibrancy of the British Columbia’s economy and applauded the Amir family as shining examples of the contributions of immigrants to Canadian society. 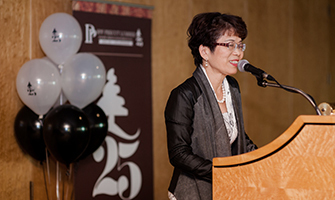 BC Minister of State for Small Business, the Honourable Naomi Yamamoto, also spoke at the gala congratulating SPF Precut Lumber on twenty-five years of business. 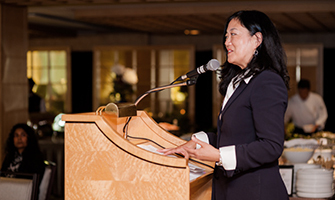 Minister Yamamoto has been a long-time supporter of SPF Precut Lumber, specifically in her past position as the North Vancouver Chamber of Commerce President. SPF Precut Lumber has been a North Vancouver Chamber of Commerce member for the past twenty-two years. Minister Yamamoto finished her speech with a touching tribute to SPF Precut Lumber co-founder, the late Shaheen Zafar, who was dearly remembered on this occasion. 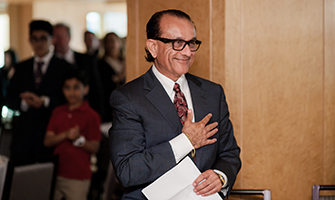 SPF Precut Lumber President, Muhammad Amir, also spoke at the event with a message of gratitude and encouragement for his business partners, supporters, and loved ones. In addition to Minister Wat and Minister Yamamoto, notable attendees included Canadian business icon, Jimmy Pattison; HSBC Bank Canada CEO, Sandra Stuart; Tolko General Manager, John Langley; Sinclar Group President, Greg Stewart; and MLA for North Vancouver-Seymour, Jane Thornthwaite. Several attendees flew in from other regions in Canada, the United States, the Middle East, and South Asia. 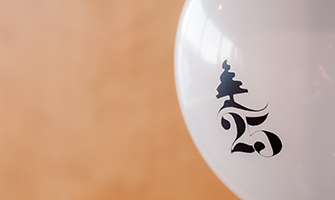 Please click here to view the photos from the 25th Anniversary Celebration Gala. VANCOUVER, BC – Identified as the “Dragon’s Den for high school students” (CBC Radio), the TiE Young Entrepreneurs’ (TYE) Venture Challenge is the culmination of an intense 8-month program fostering entrepreneurship amongst young adults (aged 15-18). After a primer in business fundamentals (finance, marketing, distribution, etc. ), teams of 4-5 students develop a business plan and presentation with the guidance of a business-savvy mentor. 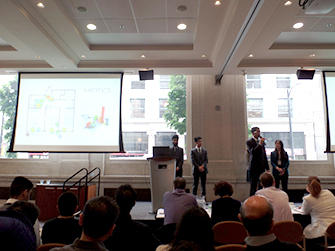 The teams compete against each other in a regional final, judged by esteemed business personalities in the Vancouver business community. 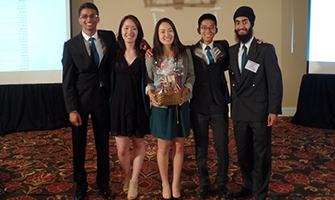 The winning team from the regional challenge then secures the opportunity to represent TYE Vancouver in the TYE Global Business Plan Competition, where over 25 student teams representing their respective cities from all over the world, compete for a US$ 10,000 grand prize. For a second straight year, SPF Precut Lumber acted as one of the event sponsors. For a third year in a row, SPF Precut Lumber’s Mo Amir reprised his role as a mentor for one of the TYE Vancouver groups, InVision VR, consisting of high school students Eileen Li, Serene Chan, Han Bai, Kamal Deowra, and Matthew Da Silva. 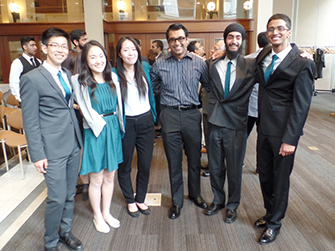 After months of revisions and practice, all of the student teams gathered at Simon Fraser University’s Segal Building in Downtown Vancouver on May 24, 2015 for the regional competition to bid for the right to represent TYE Vancouver on the global stage. InVisionVR delivered an excellent presentation with an investor’s pitch for an innovative real estate marketing tool that utilizes virtual reality technology for potential homebuyers to view a property before it is even built. The marketing tool was touted to drive pre-sales of unbuilt condominium and real estate properties – a necessity for real estate developers around the globe – while granting developers easier marketing access to foreign real estate buyers. Amongst a highly-competitive field of seven other teams representing both TYE Vancouver and TYE Surrey, InVision VR won the competition, as decided from a judging panel comprised of high-profile entrepreneurs and venture capitalists. TYE is one of the programs under TiE. TiE-Vancouver is a not-for-profit BC organization with a mission to foster and support entrepreneurship. TiE as a concept was born spontaneously when a handful of Silicon Valley entrepreneurs with roots in the Indian subcontinent met by chance in 1992, conceiving the idea of an organization that would bring together high achievers for the purpose of networking. 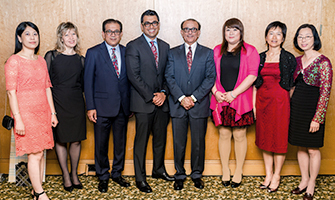 TiE-Vancouver shares the values and philosophy of the Global TiE organization represented all around the world including the United States, India, Pakistan, the United Kingdom, Germany, Hong Kong, Israel, Malaysia, and Austria. In total, TiE has 61 chapters in 18 countries, with over 11,000 professional members. 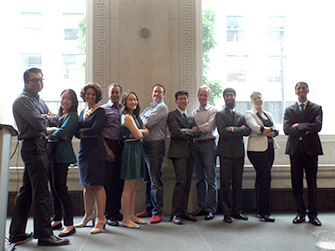 TiE-Vancouver is TiE’s first Canadian chapter.